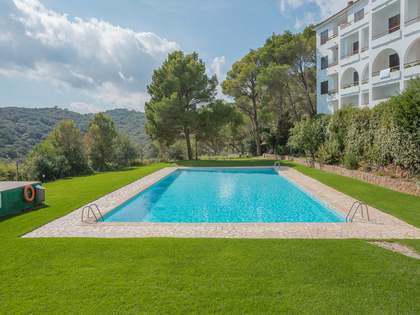 Marvellous, tastefully renovated 5-bedroom villa with a garden and pool for sale in the Mas Pinell area, just 150 metres from the beautiful beach. 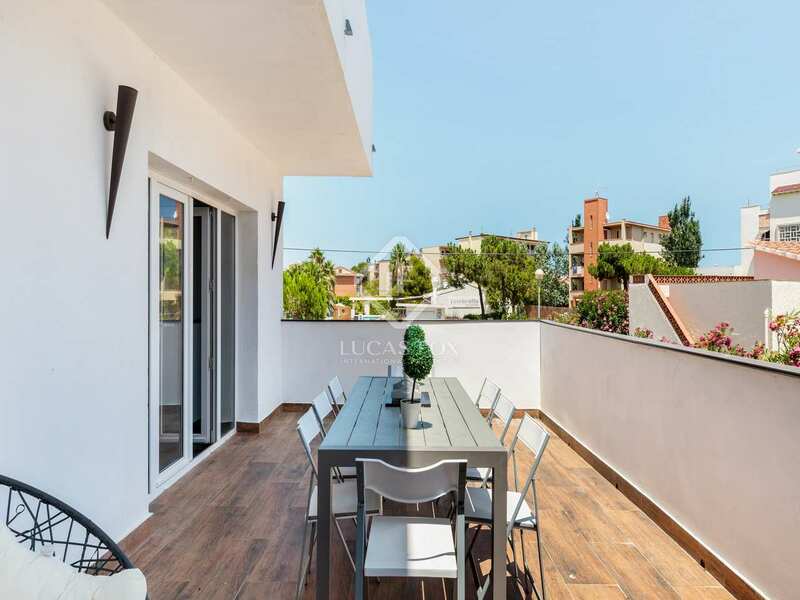 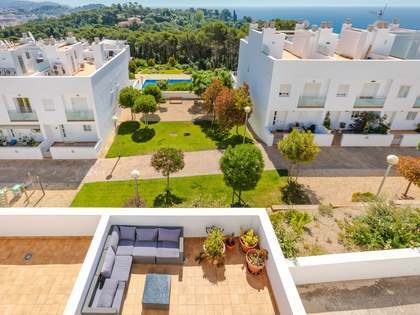 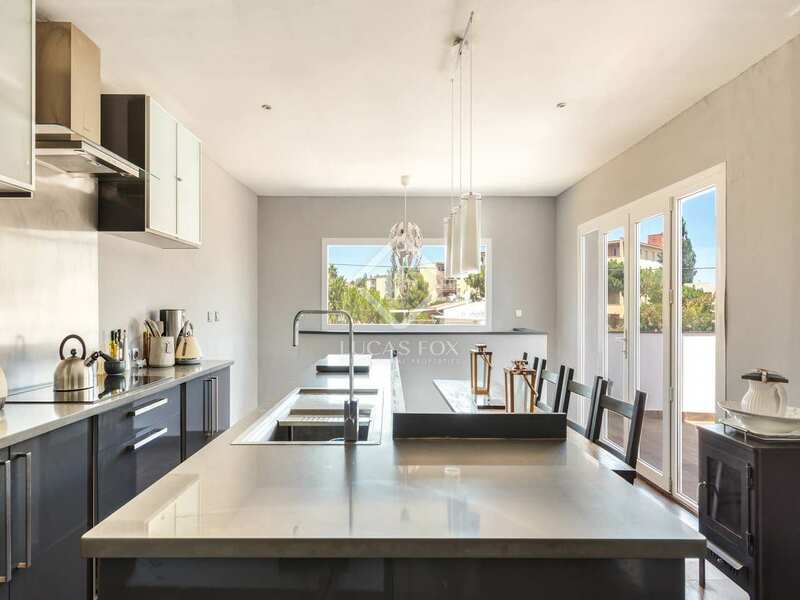 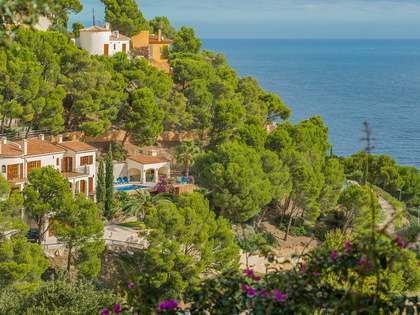 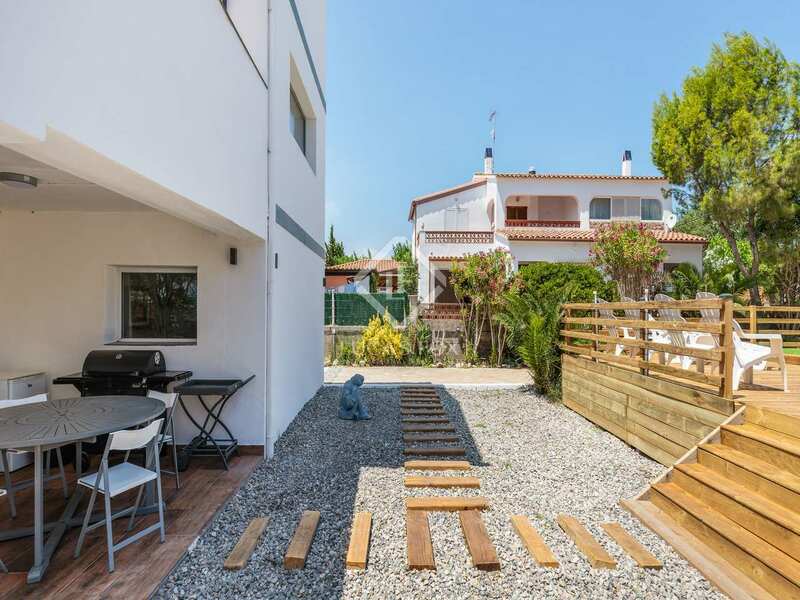 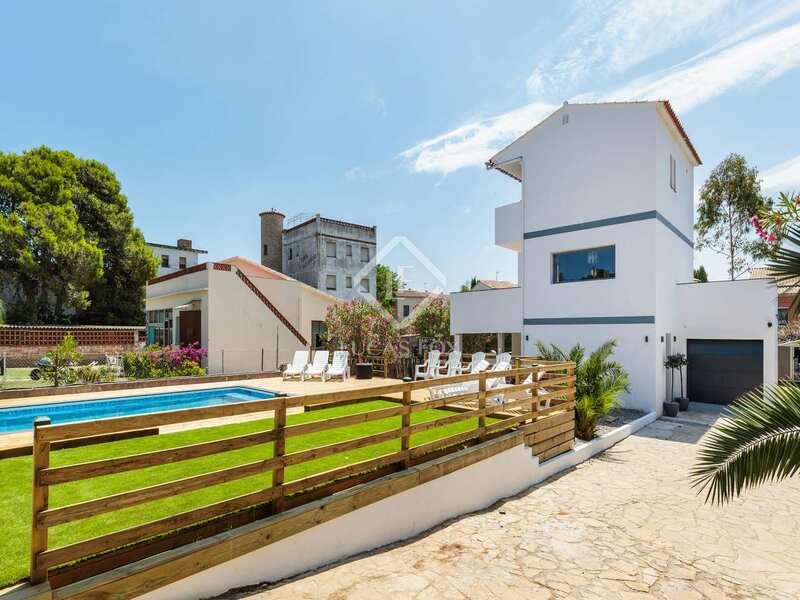 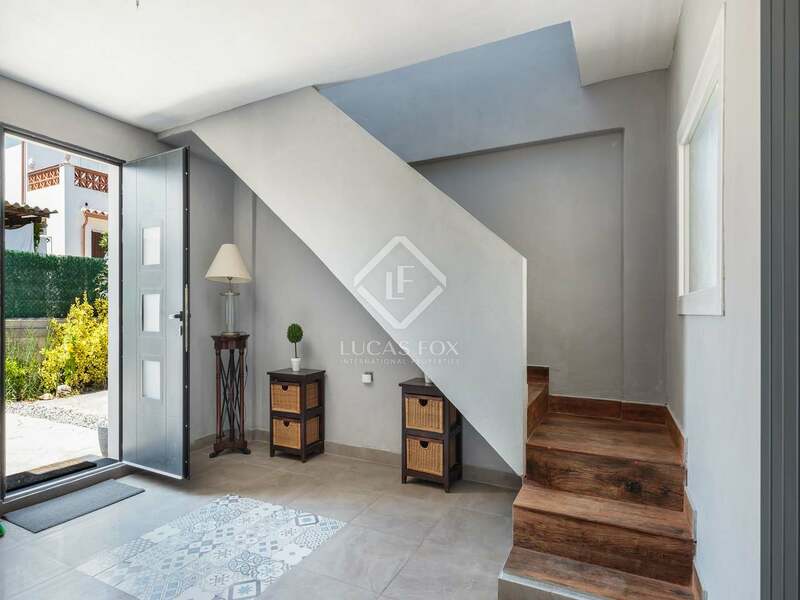 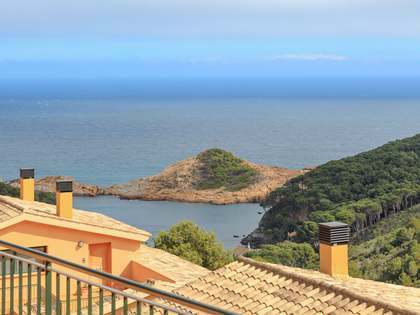 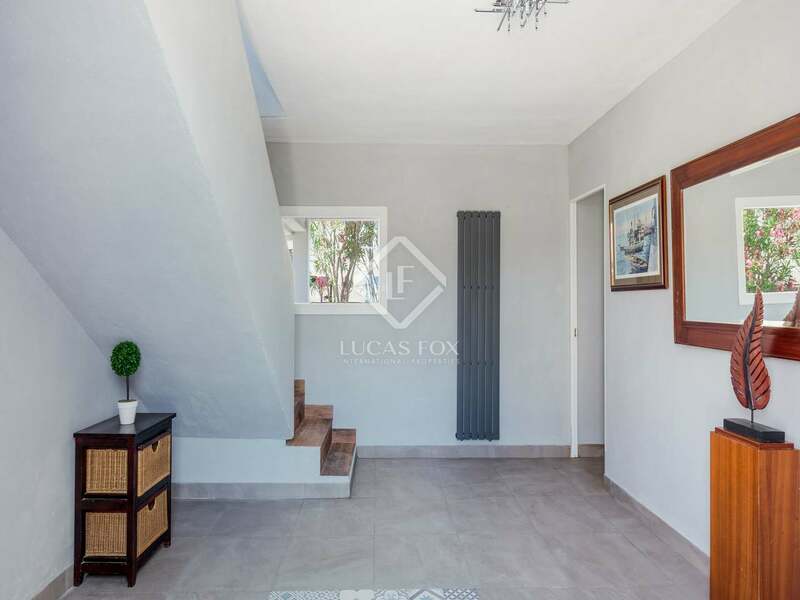 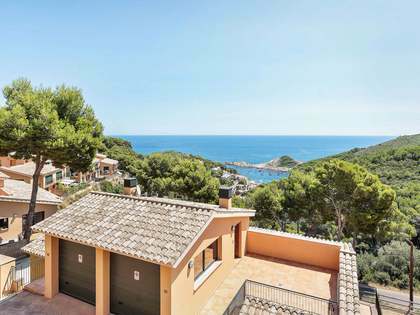 214 m² detached house with 5 bedrooms and 4 bathrooms in an excellent location, just 150 metres from the lovely Mas Pinell beach in Torroella de Motngrí; a wonderful family-friendly area of the Costa Brava. 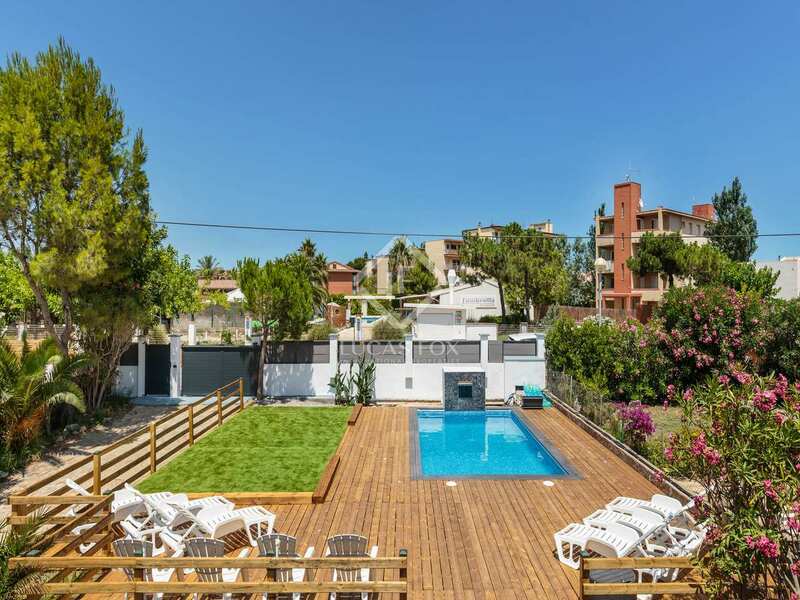 The garden of 535 m² offers a charming swimming pool area with a water feature and wooden decking and there is a barbecue terrace with a guest toilet; perfect for outdoor dining and entertaining. 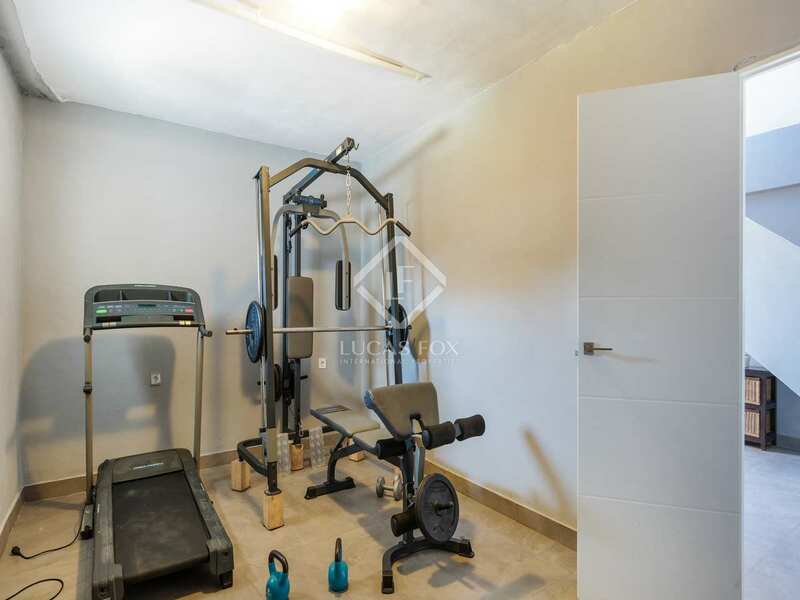 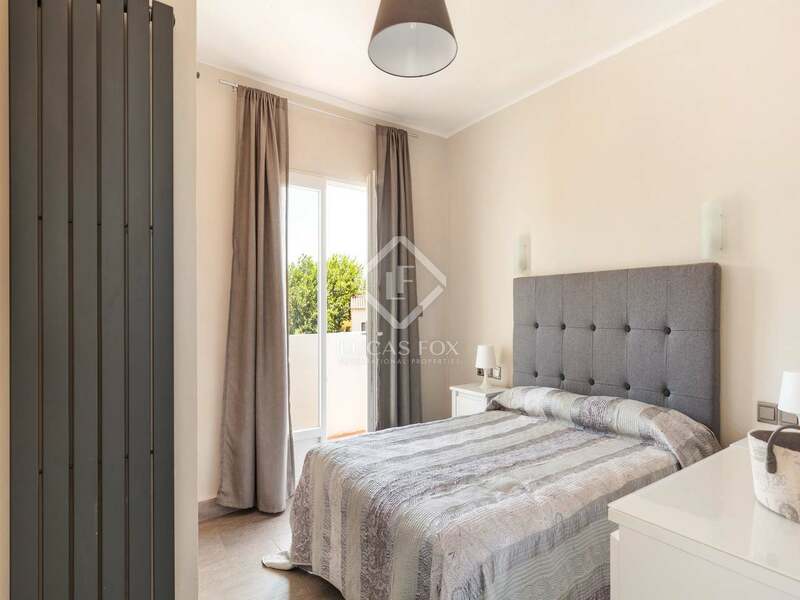 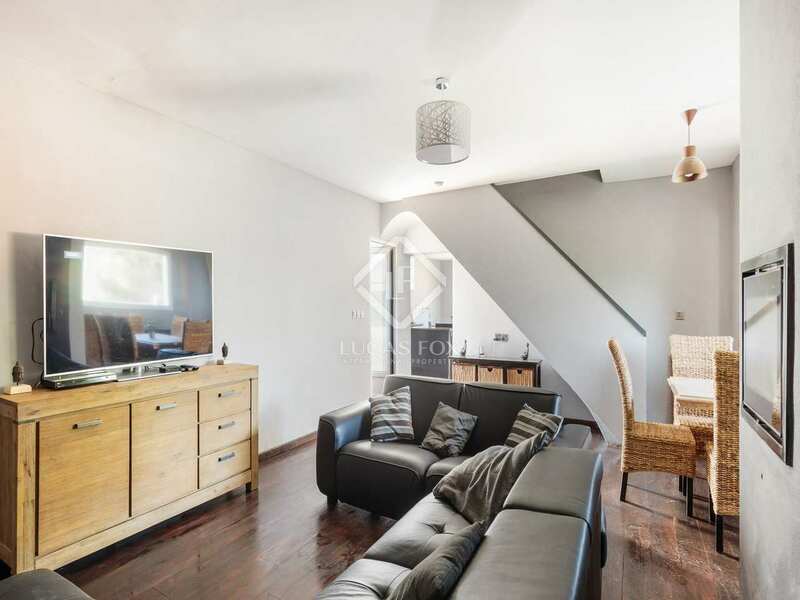 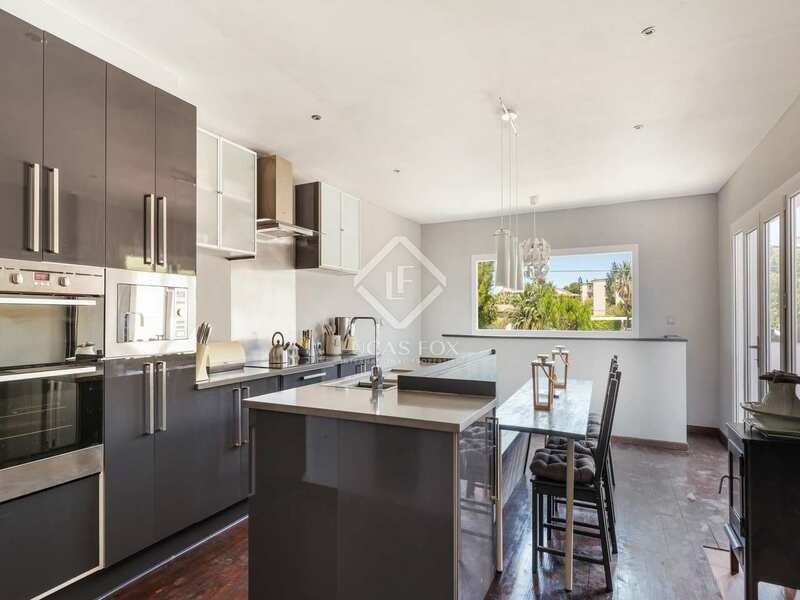 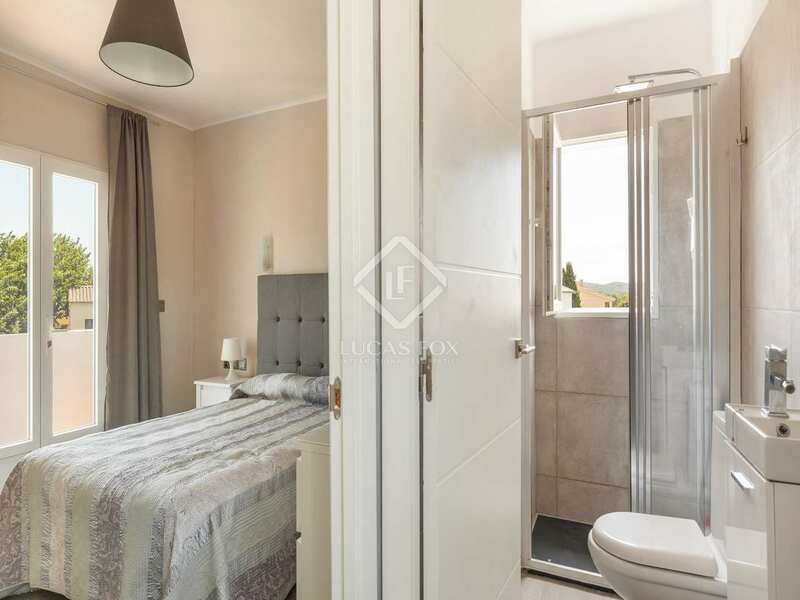 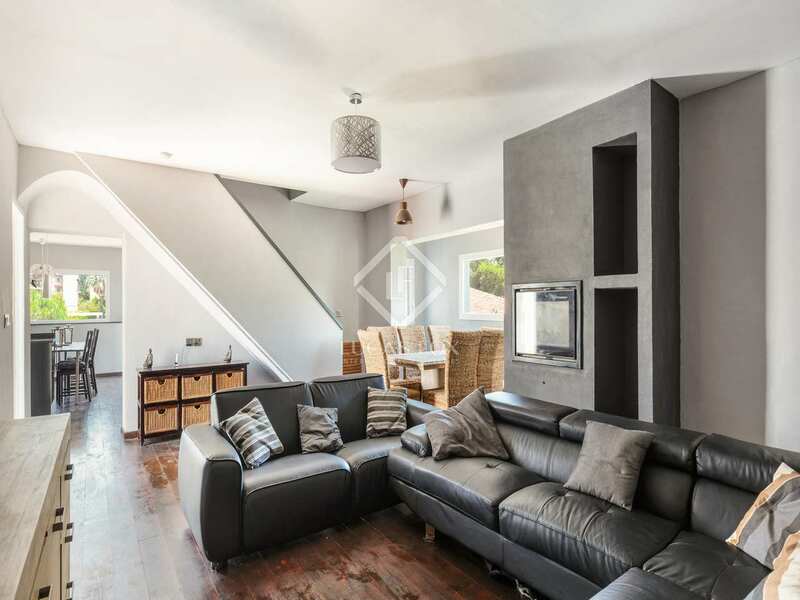 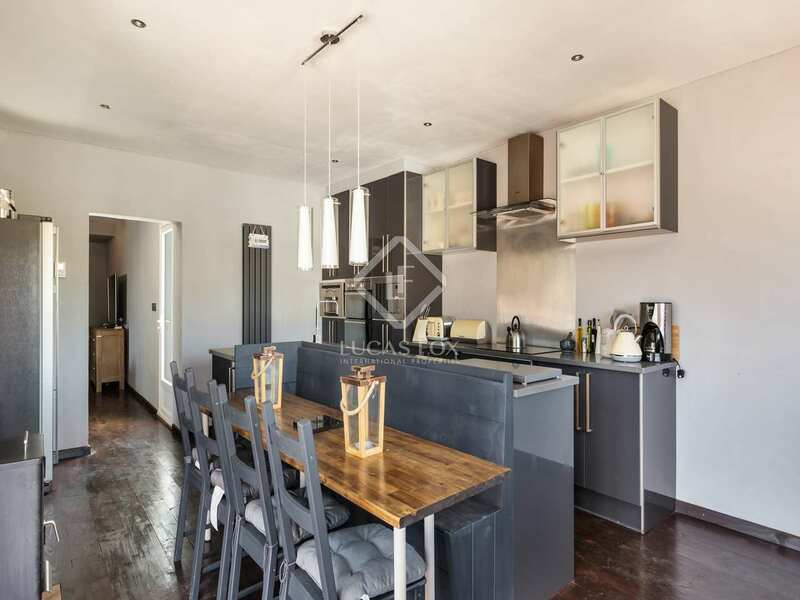 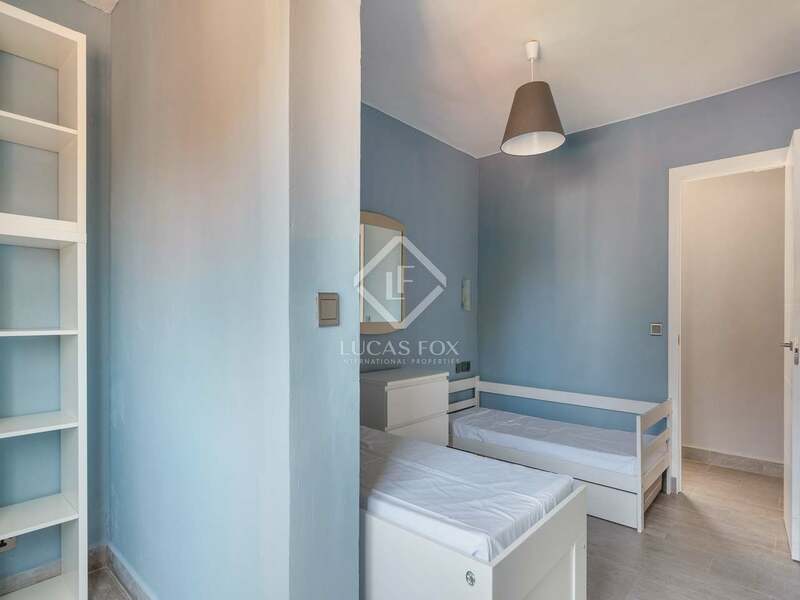 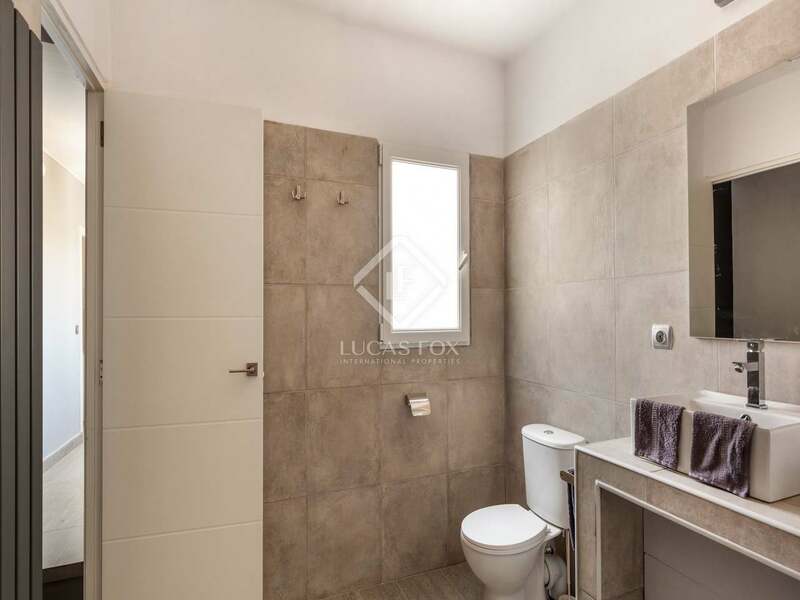 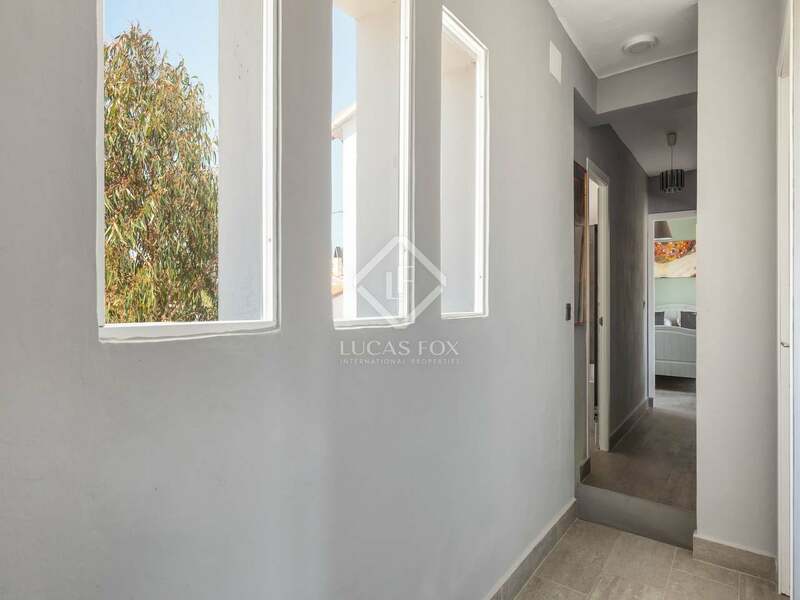 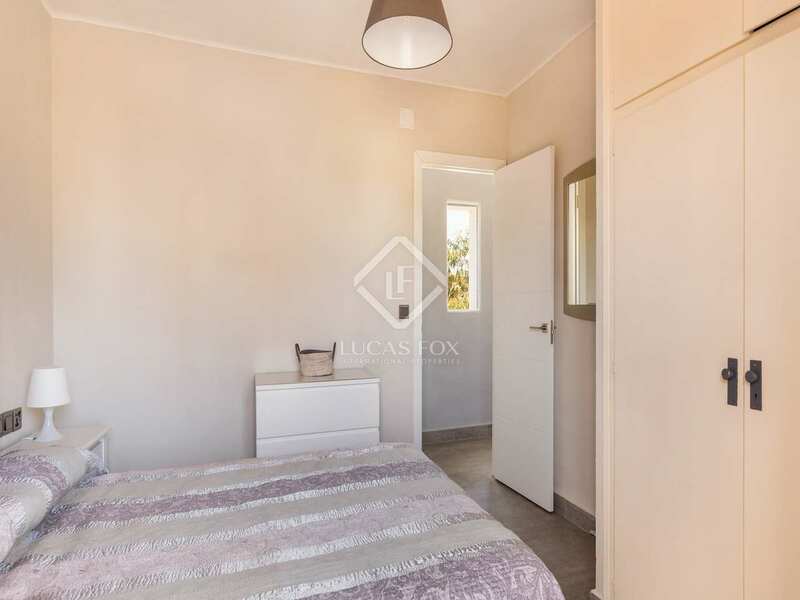 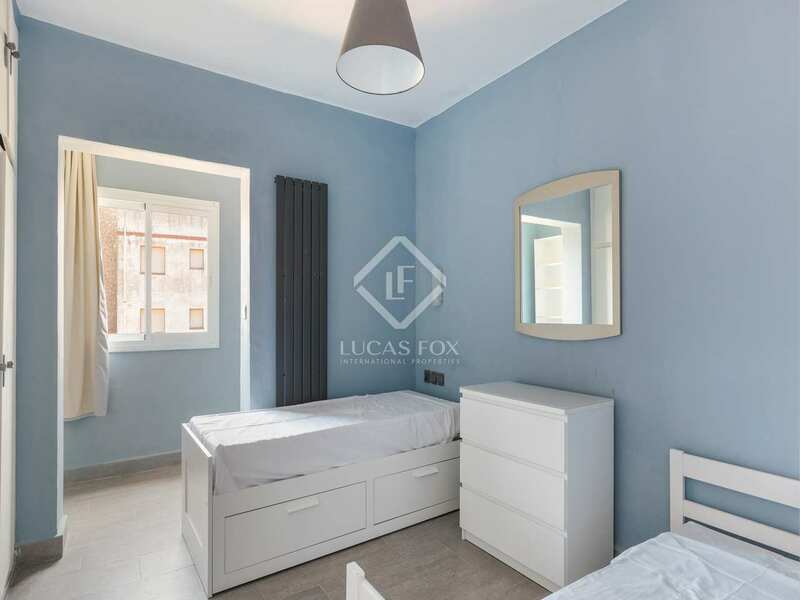 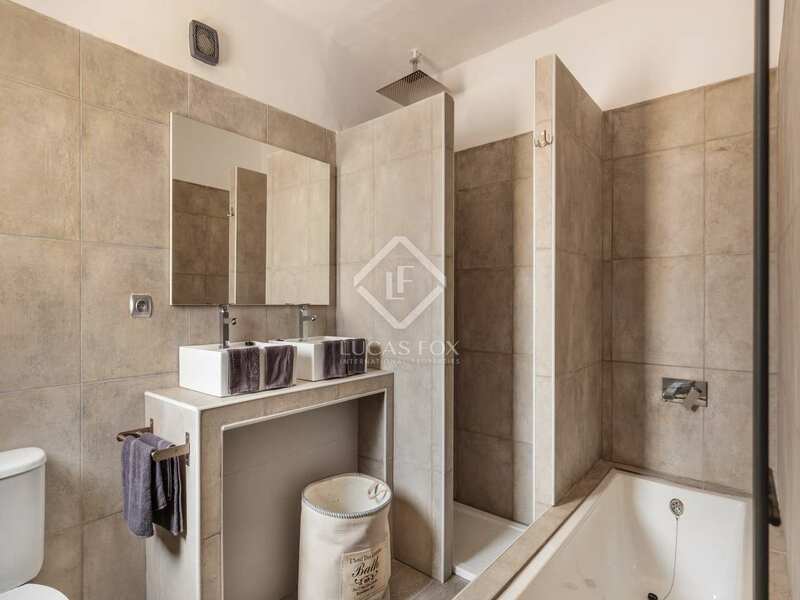 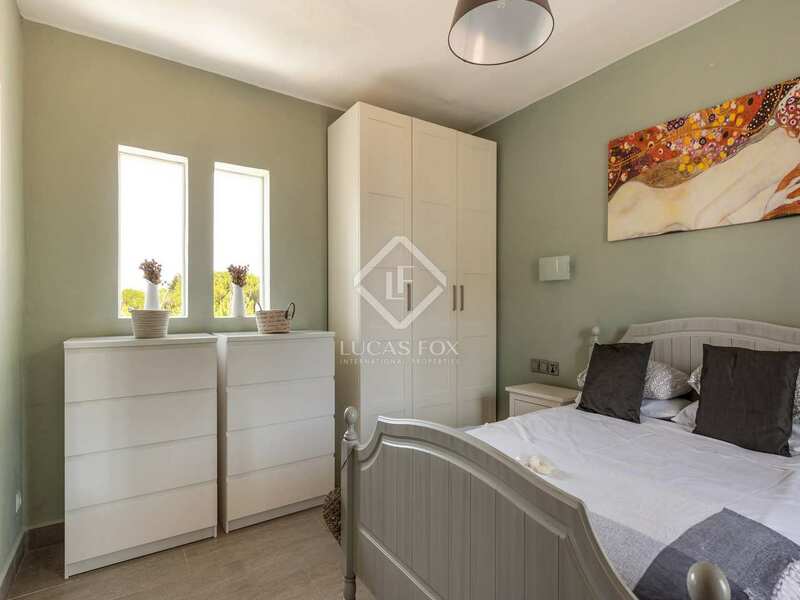 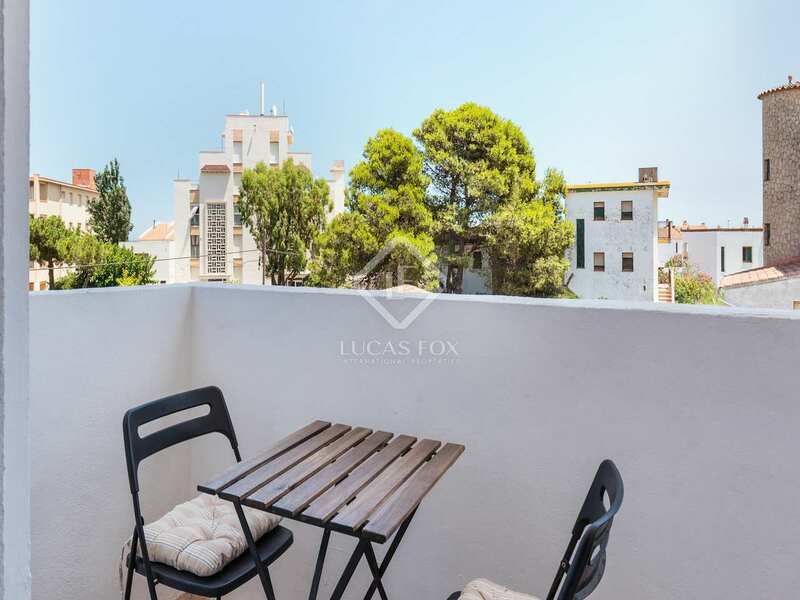 The ground floor of the property offers an entrance hall with a toilet, a gym, closed garage and a separate studio apartment for guests with a bathroom and kitchen. 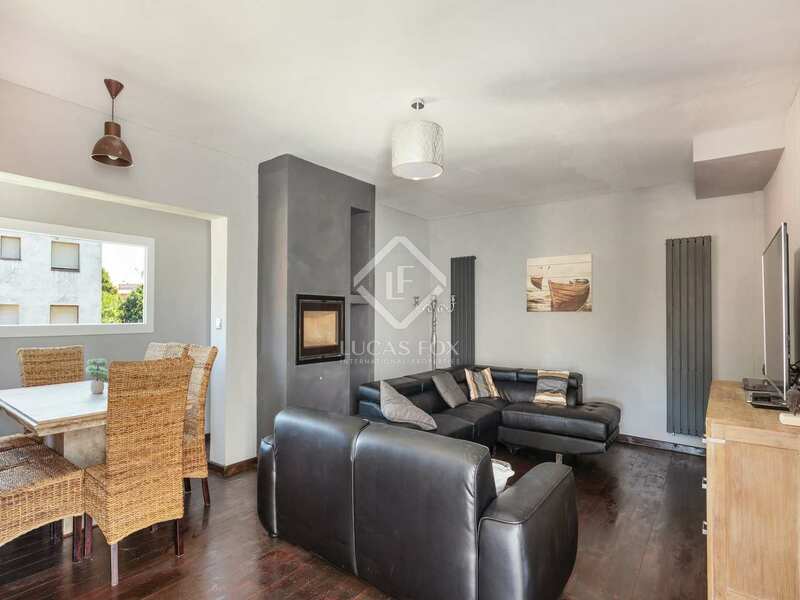 The fully equipped kitchen with all appliances and access to a beautiful, sunny terrace is found on the first floor along with the living room – dining room with a fireplace with access to chill out terrace with garden views. 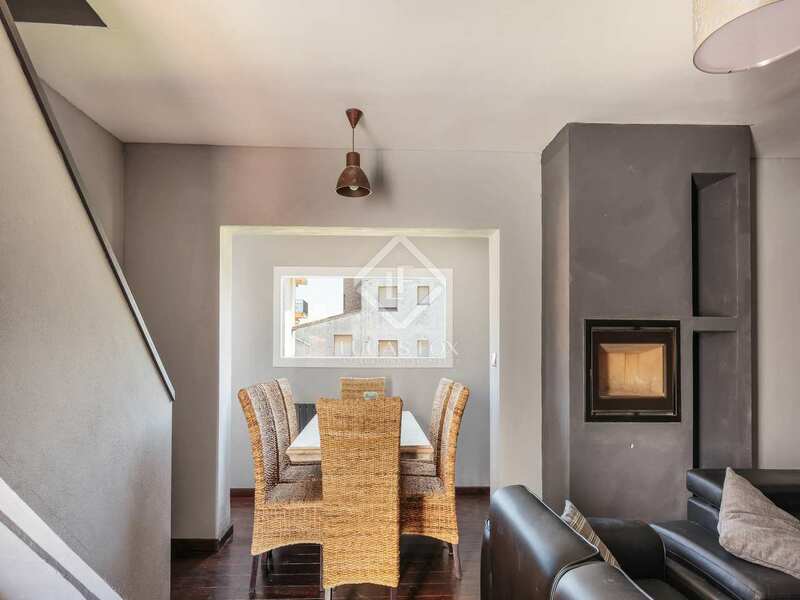 The second and final floor of the property accommodates the 4 double bedrooms and 2 bathrooms. 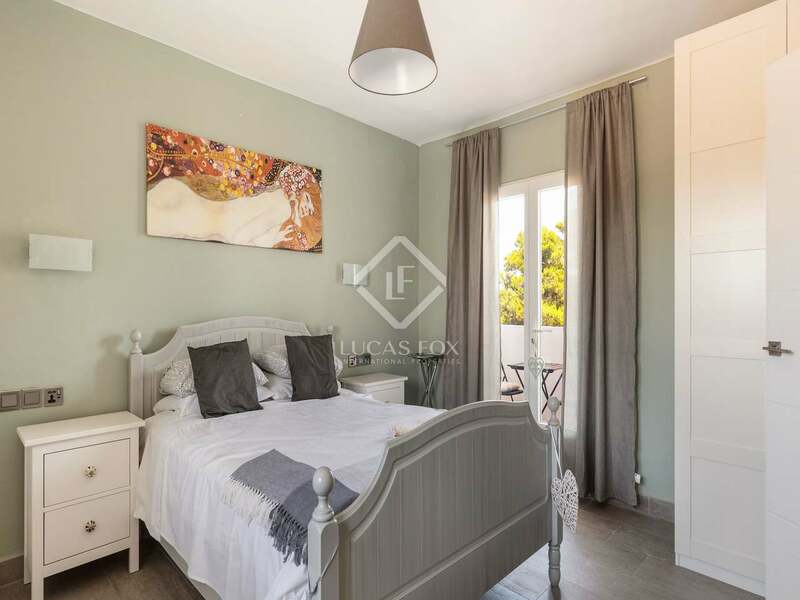 2 of the bedrooms have private terraces. 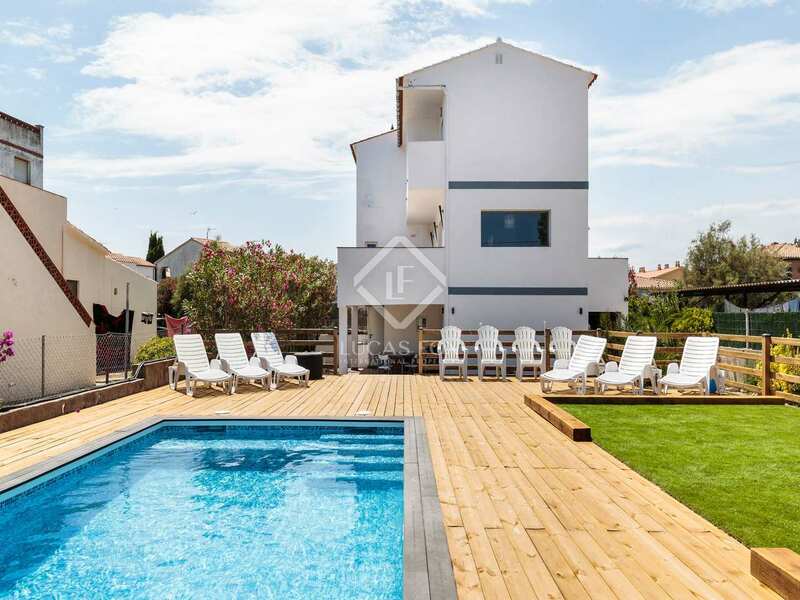 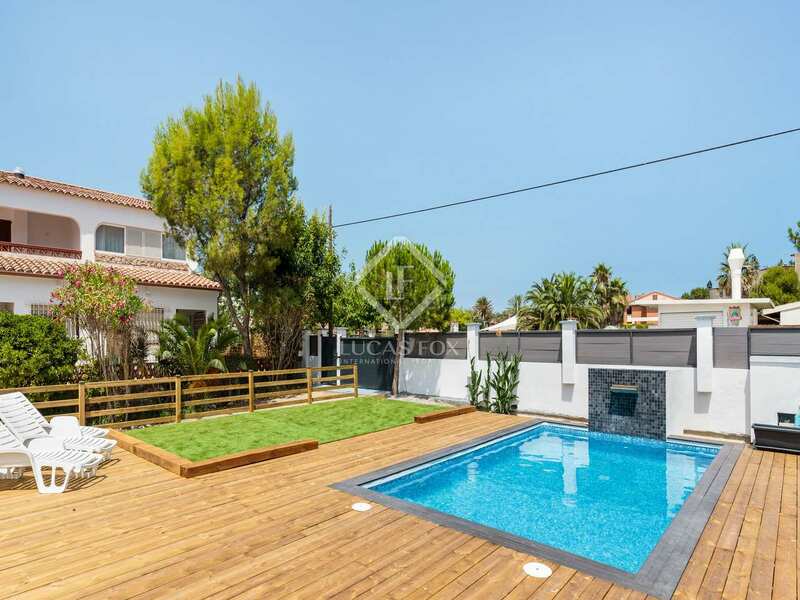 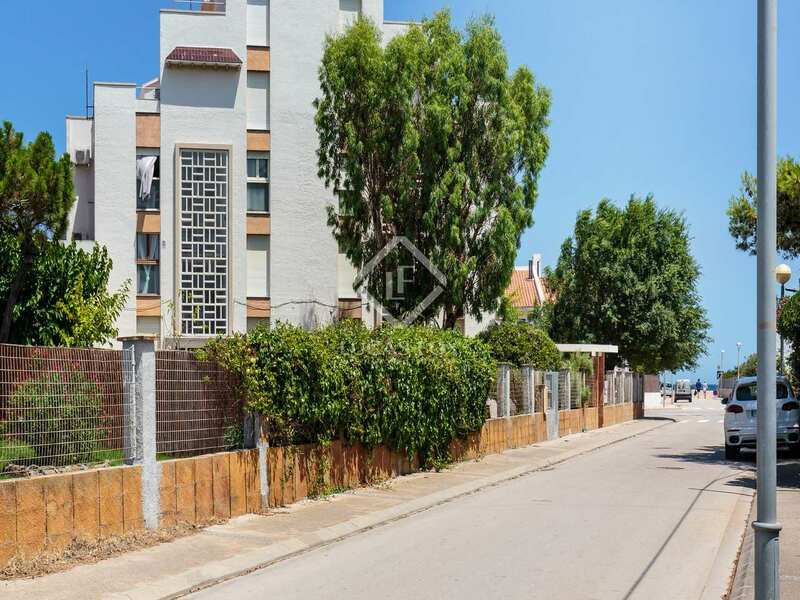 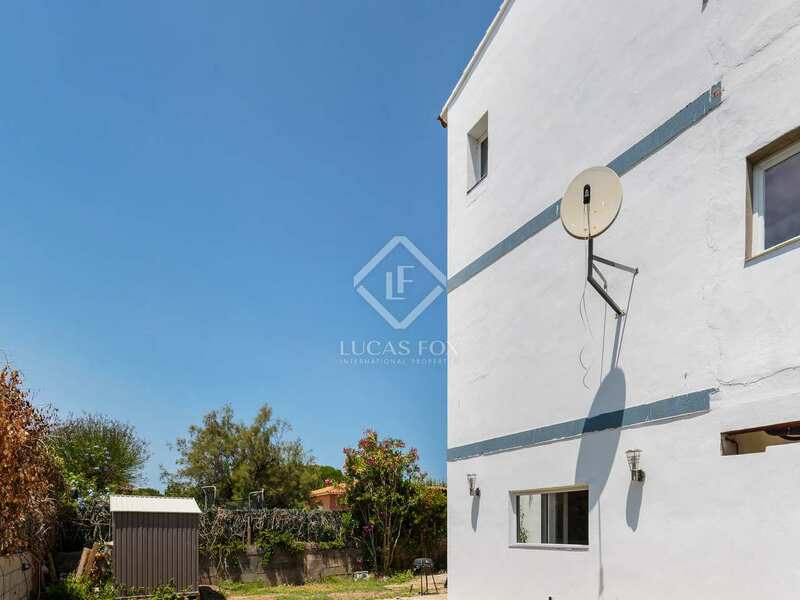 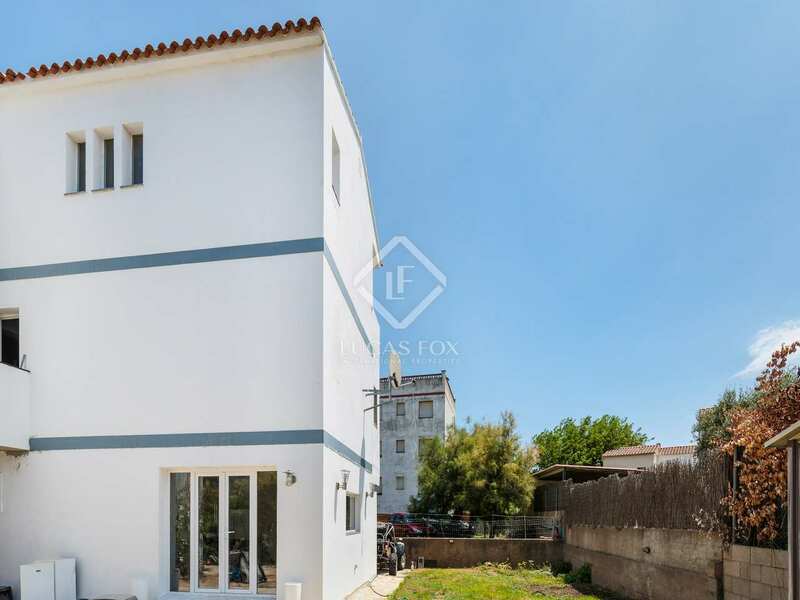 A wonderful opportunity to acquire this attractive family villa with a pool, located practically on the beach; ideal for summer holidays and with huge rental potential. 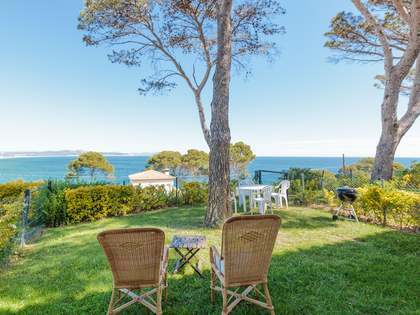 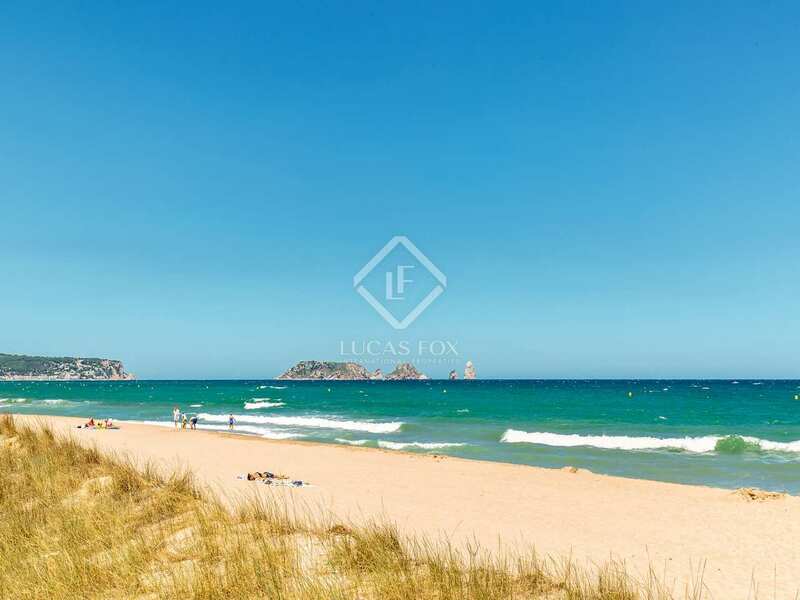 Property located in the Mas Pinell area of Torroella de Montgrí, just 150 metres from the beach, 20 minutes from Emporda Golf course, 25 minutes from L'Escala and minutes from Girona City.